This is the first part of a Triple Feature Premiere of Total Control. Make sure to check out Episode 2 and Episode 3, as well. It was a dark and desolate time. Chaos was the rule of order. Brother pitted against brother. Babies having babies. But then, one day, some guys came together on a forum and had this conversation. 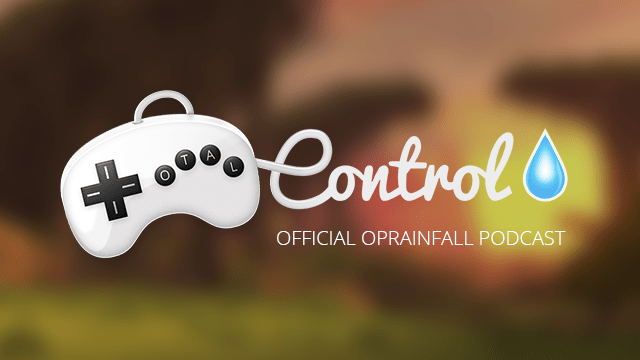 Welcome to the pilot episode of Total Control, the new official podcast of Operation Rainfall. Join Azario Lopez, Jeff Neuenschwander, Chris Stollings and Karli Winata as we launch this new era. Recorded on August 6th, 2014, the crew talks about the Hyrule Warriors Direct, the fiscal success of Shovel Knight, first impressions of PlayStation Now, Resident Evil, Konami, Studio Ghibli, Sega, and gaming epiphanies.